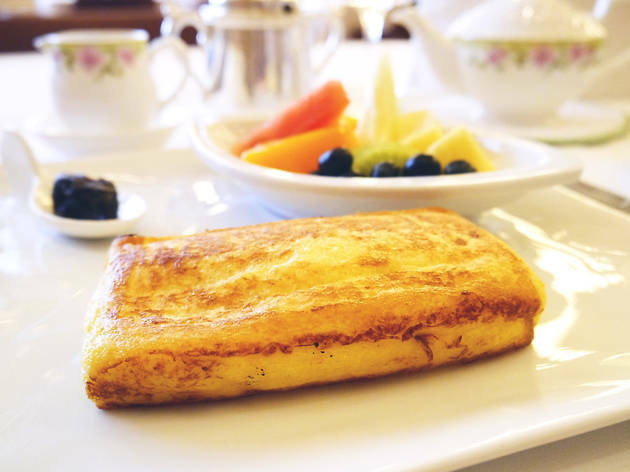 Although the pancake boom that gripped Tokyo last year is showing no signs of dying away, the next breakfast staple is already making room for itself. 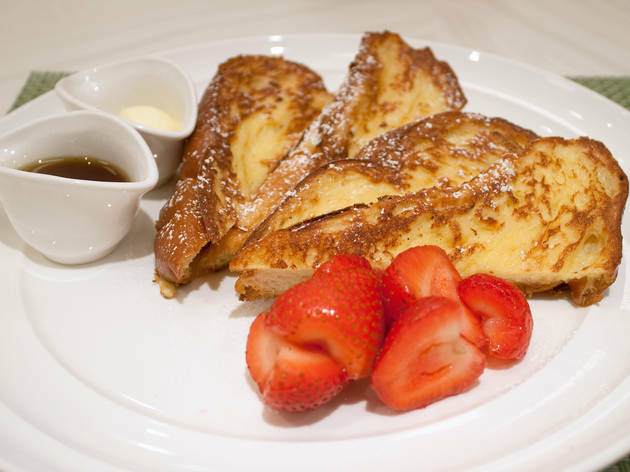 Simple but oh-so-delicious, the French toast has already attracted the attention of trend-setting 20-something ladies – a development that can only mean massive media coverage, bloody competition among eateries in areas like Harajuku and Shibuya, and two-hour queues to the hottest toast spots. 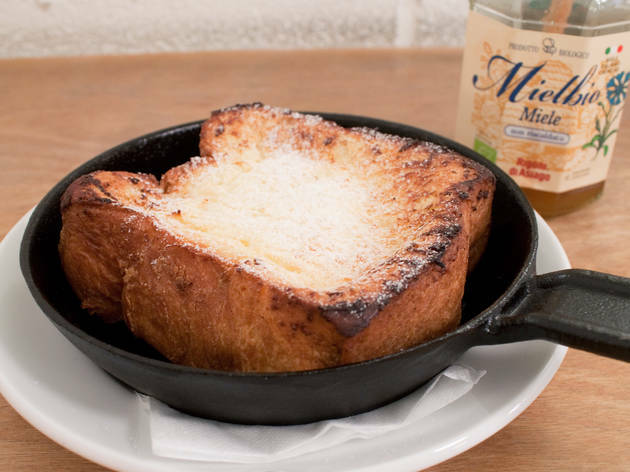 Ranging from hotel restaurants to neighbourhood bakeries, here's your quick guide to 10 of the best places to enjoy an eggy and sweet mouthful. 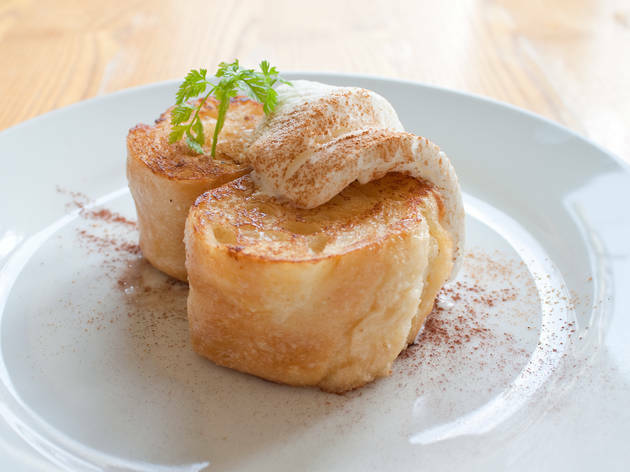 Staffed by a real Frenchman, this Midorigaoka café makes baguette-style versions of the standard French toast and tops them with decadent amounts of cream. The calorie content here is still lower than at most competitors, and you can also combine your dish with fresh seasonal fruits. 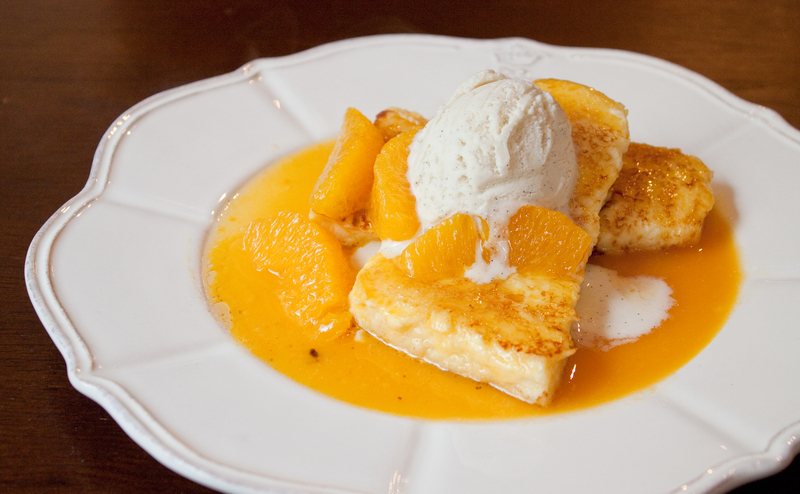 Start with the standard version before upgrading to choices like the caramel banana or 'orange musette' (pictured) at this Yoyogi-Uehara stalwart. 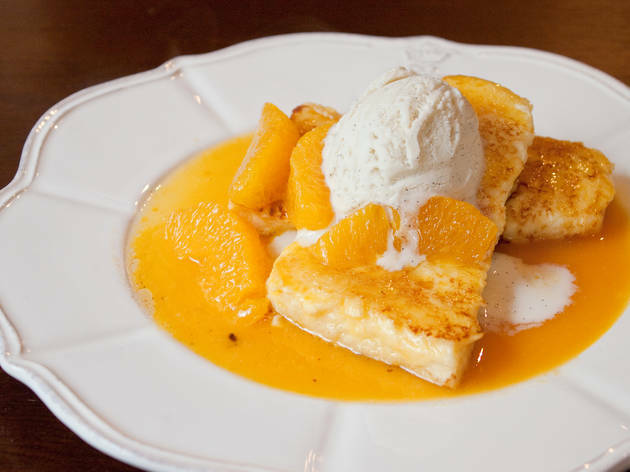 All of their creations are strongly flavoured, melt-in-your-mouth delicacies that'll have you going back for more. 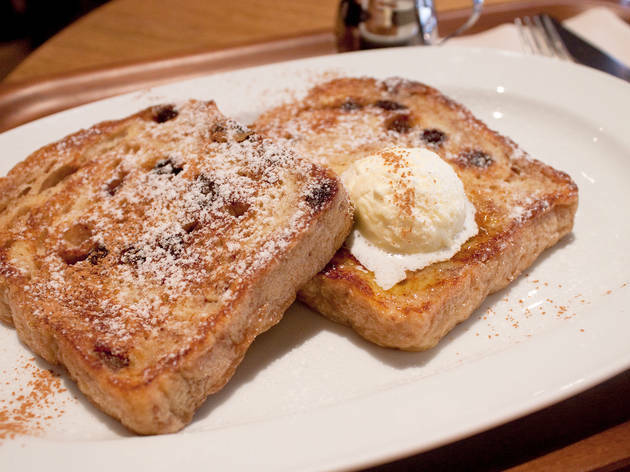 Both the coffee and the bread are excellent in themselves here, but the French toast is really what makes your mouth water. The thick bread is doused in egg until completely soaked, given a quick trip on the frying pan, and served burning hot. Add some honey for best results. 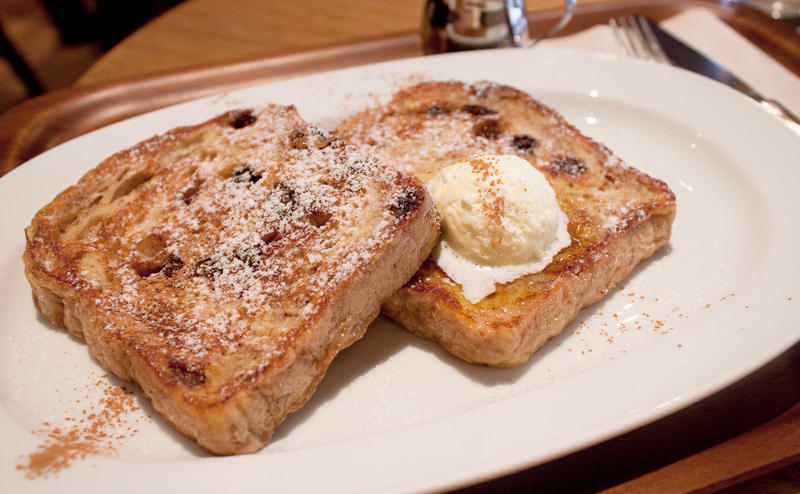 Served until 11am every morning, the French toast with cinnamon, walnuts and raisins (¥600) is the way to go here. The bread itself is slightly dry, letting the cinnamon do most of the work. 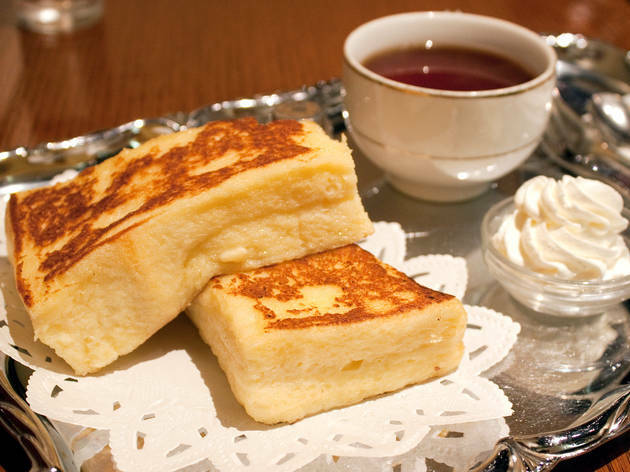 The result is a crispy, almost light version of the traditional dish. 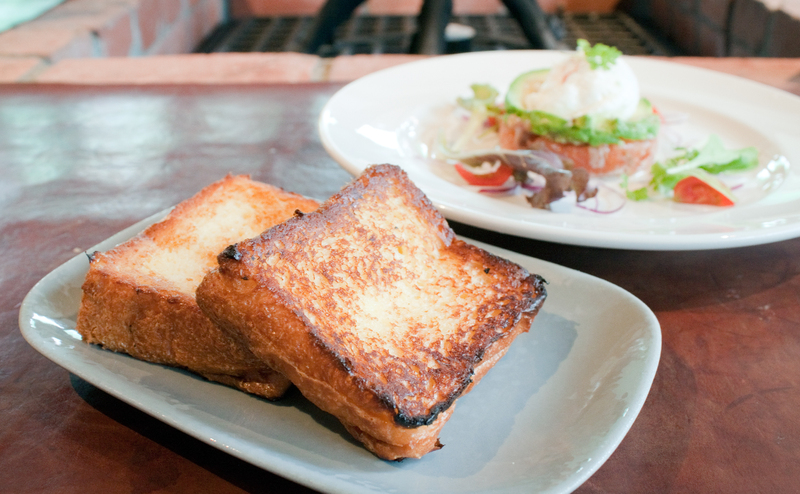 Breakfast champions Sarabeth's charge toward the top with their classic 'fat and fluffy' French toast (¥1,200), a creation well worth its name. 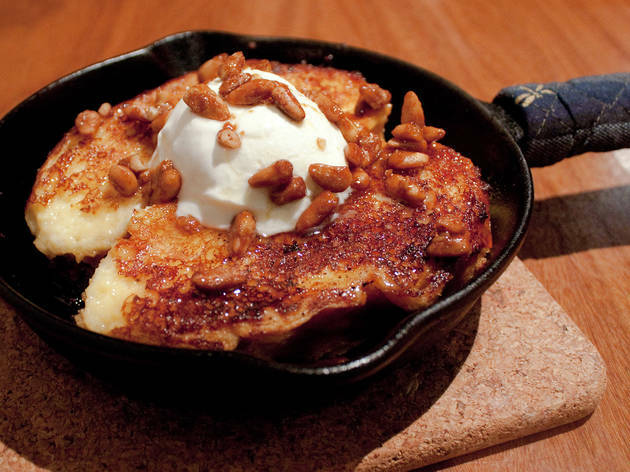 This is an orthodox version that can be topped with butter, maple syrup or jam for extra taste. 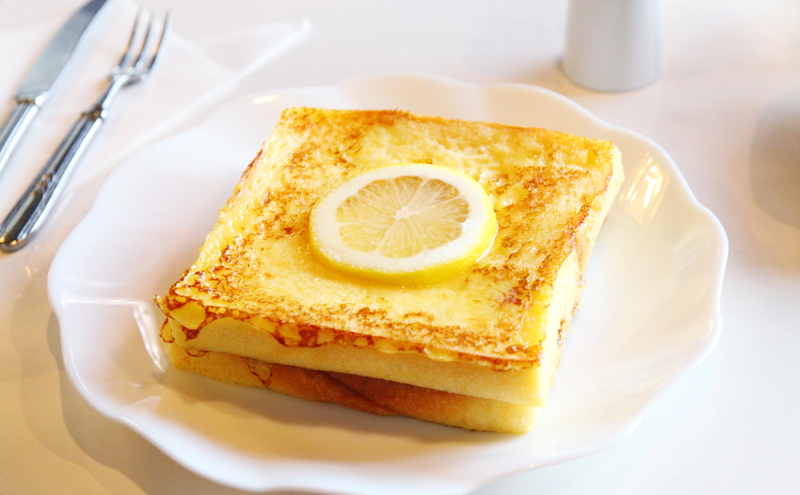 The signature dish (¥750) at this underground café is so popular that customers line up for it even on weekdays. 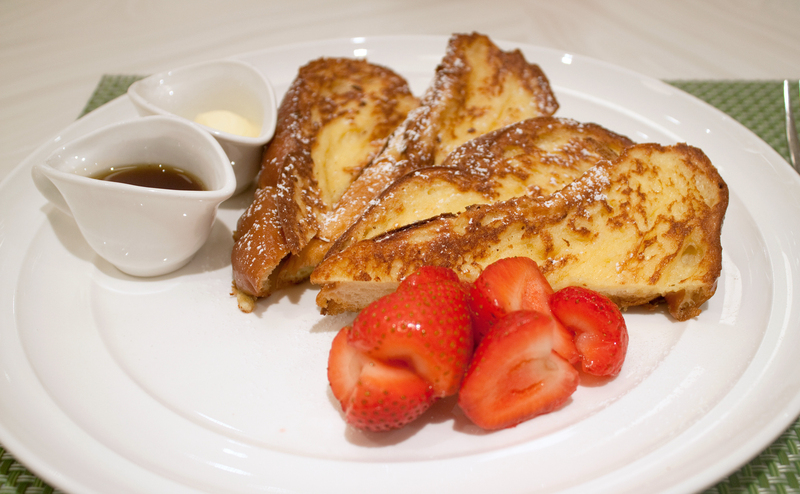 The crustless bread is sliced thick and toasted in butter until golden and simply irresistible. Add some jam or extra ice cream to top it all off. 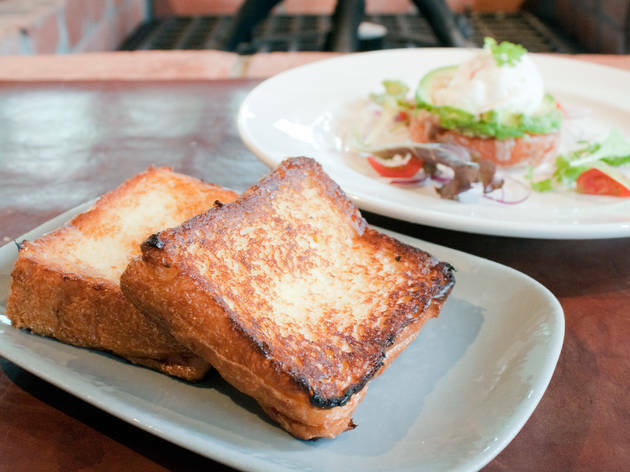 Brunch kings Mercer's daily sets (from ¥1,600) include dishes like sirloin steak and egg or salmon tartar, avocado and poached egg, each accompanied by a couple of slices of plump, melt-in-the-mouth brioche French toast. 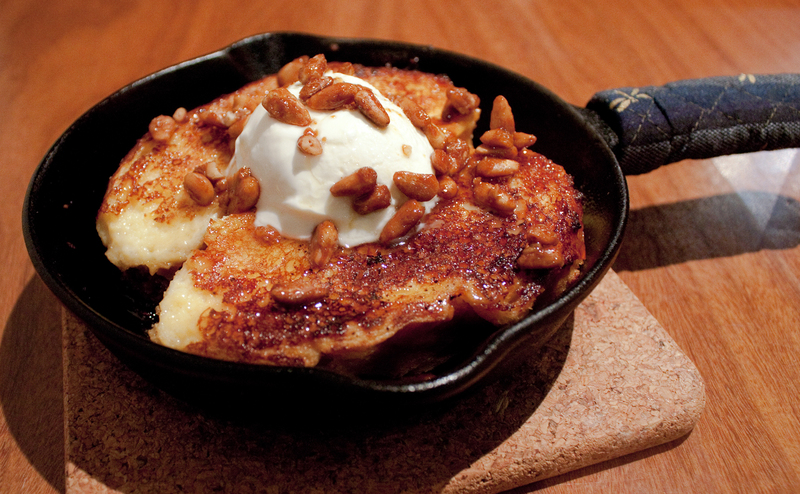 Not lacking in butter, to say the least, these guys are best enjoyed in moderation. 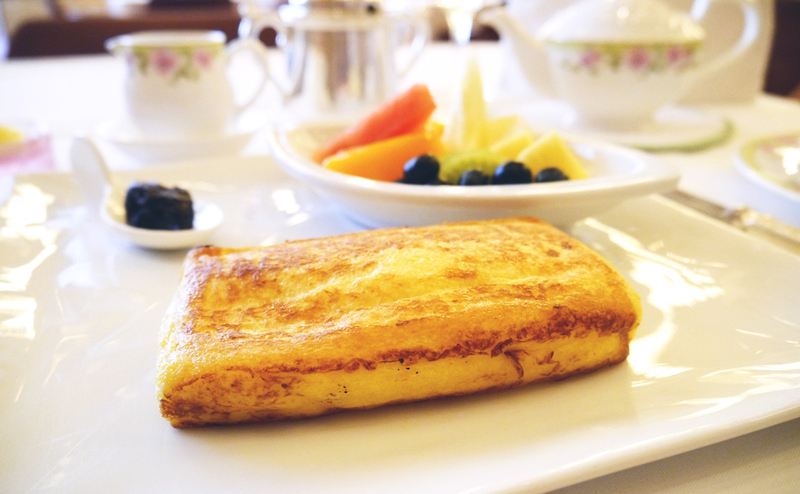 Any listing of Tokyo French toast would be incomplete without the Okura Hotel's time-honoured version. 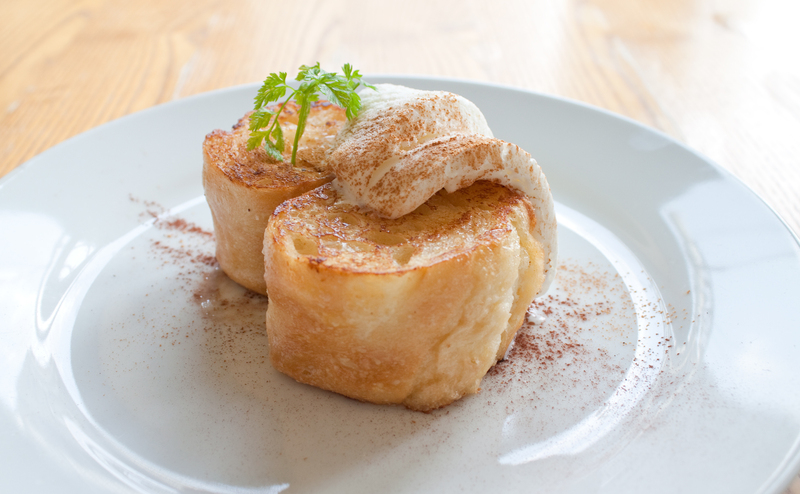 Appropriately crispy on the outside and satisfyingly soft and eggy on the inside, the dish gets even better when combined with a liberal serving of butter and maple syrup. 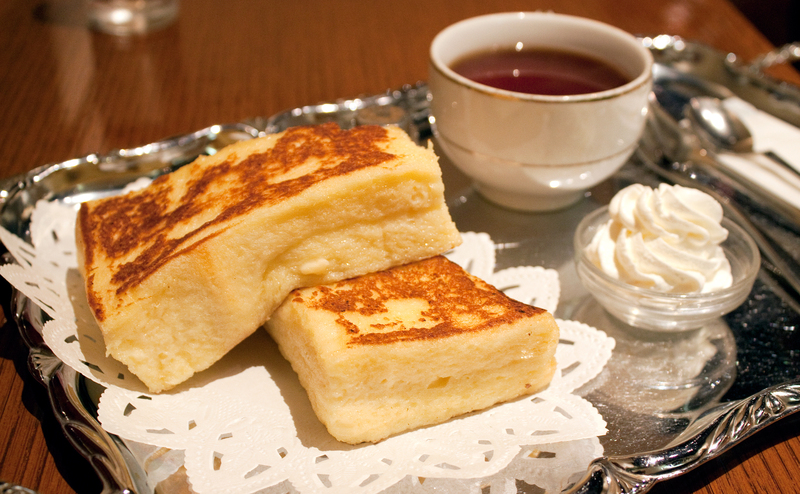 Yushima coffee house Mijinco's honey and mascarpone French toast (¥600) is a surprise inclusion on this list. Eaten straight off a cast-iron pan, the thick bread is soft like pudding while the marriage of Italian cheese and caramelised nuts is something that truly shouldn't be missed. 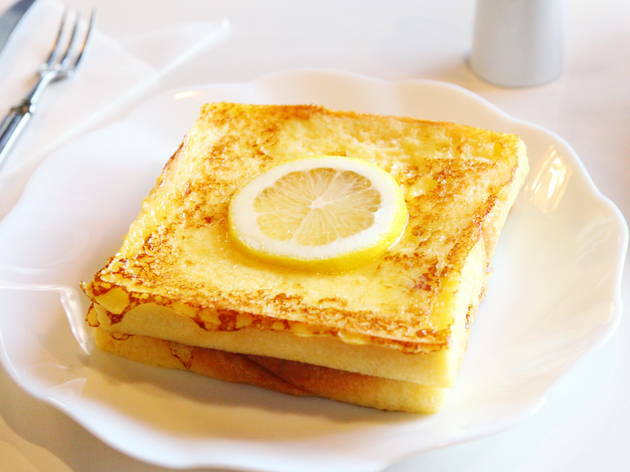 This retro Hirai café breaks with the high-carb trend and serves up a thin, lemon-flavoured French toast (¥530) that's not overly sweet, even after adding some of One More's excellent maple syrup. 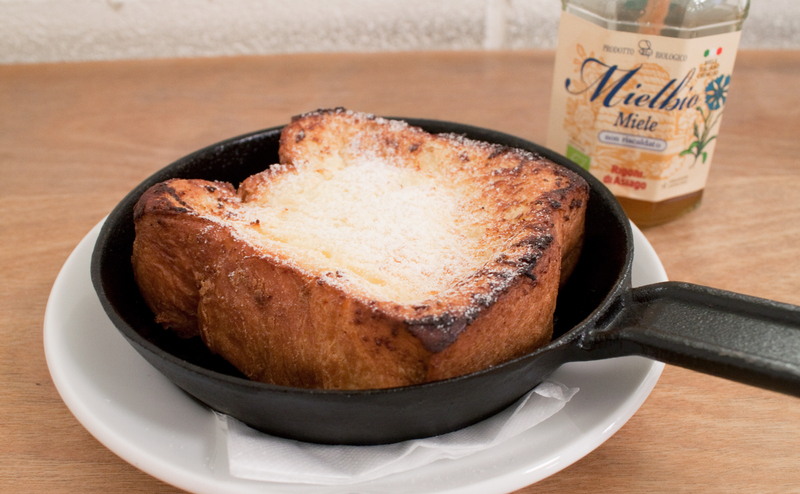 Recommended especially for experienced breakfast fiends looking for a new fix.